Not only was Serena Williams pregnant when she won the Australian Open, but she had only known about it for two days. 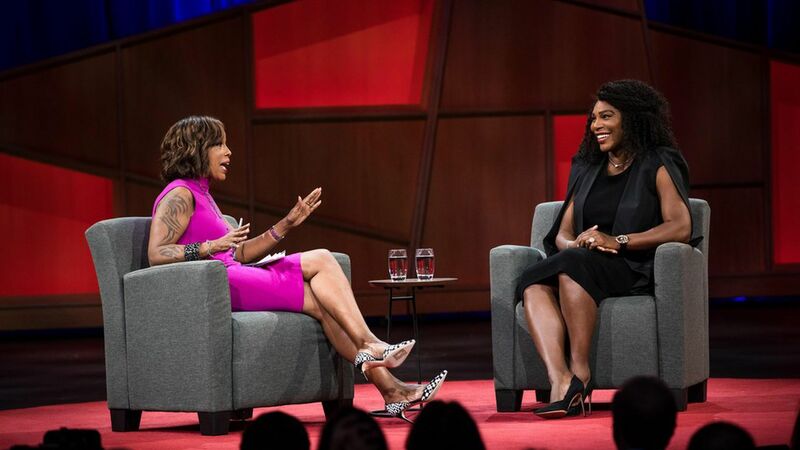 In a TED conference interview with Gayle King, Williams also revealed that she never intended to share that now-famous picture of her 20 weeks pregnant in a yellow bathing suit. Rather she had been taking pictures for herself and accidentally posted it to social media. "I slipped, but it's OK," she said. Will she return to tennis? "I definitely plan on coming back. I'm not done yet." On being a sore loser: "I'm number one at losing too." But, she said, her losses are what have made her who she is and she has learned from every one.